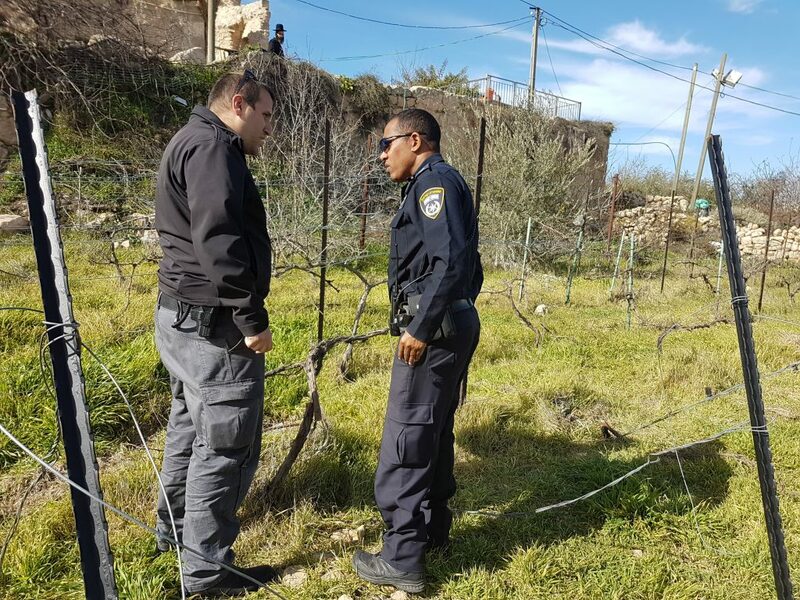 Attorneys for the Honenu legal rights organization are demanding the immediate arrest of a group of Arabs who destroyed Jewish-planted grapevines located in ancient Tel Chevron near the neighborhood of Admot Yishai (Tel Rumeida). The group said that the Arabs, in full view of witnesses, uprooted the plants in a vineyard that was planted eight years ago. The Arabs, residents of Chevron, had been given special permits to enter an area allocated to Jewish farmers in order to take care of an ancient vineyard, located next to the plantings by Jewish farmers. Instead of working on the vineyard, they immediately headed to the Jewish plantings and began to uproot them, using the tools they brought to work on their vineyard. The organization demanded an immediate arrest of the vandals. “The incident was recorded by army cameras, we demand that those who committed this act be identified and arrested,” said Honenu attorney Chaim Bleicher. “The uprooting of vines like this is a terrible crime, destroying the work that many invested much time and money in doing. This is another in a long line of crimes by Chevron Arabs against Jews in the area, all part of an attempt to uproot Jews from Chevron, similar to the efforts in 1929, when Arabs killed 69 Jews in a pogrom in Chevron,” he added.